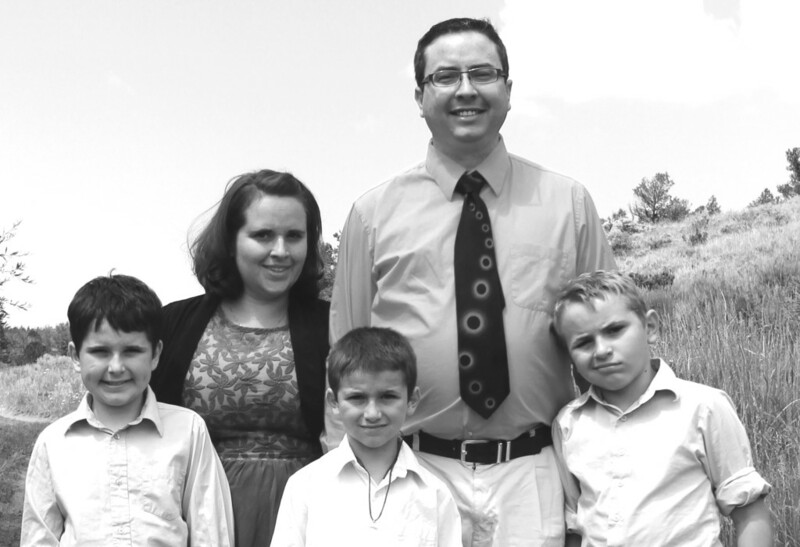 Having lived in Wyoming for most of their lives, Patty and David are deeply committed to their family and their Mormon faith. Together, they are raising three young boys in Laramie. Patty works as a psychiatric technician at a hospital and David is a chemist. But when they are not working, there’s nothing more important than spending time together as a family. “Family is first priority, above work, above external relationships,” explains David. “Family is a completion of myself,” adds Patty. As parents, Patty and David are working to instill values that they hold dear in their own children. Values like freedom, faith, fairness and the importance of working hard. It is those same values that have led Patty and David to become strong advocates for passing a non-discrimination law protecting gay and transgender workers from discrimination in their home state – and they believe that no matter where you live, you should be protected from discrimination. While Patty and David are strong adherents of the Mormon faith, they do not see their religious beliefs and their support for non-discrimination protections for gay and transgender workers in conflict. In fact, their views are very much in line with their religious beliefs. But while David points out that there are some in the Mormon Church who do not share the Turner’s views, he is confident that as equality rapidly progresses in his state and around the country, more and more people are growing to support fundamental protections and freedom for gay and transgender people. But despite these recent gains, the Turners agree that it’s past time for the law to protect LGBT people from discrimination so that everyone can have the same opportunity to work hard, make a living and provide for their families—regardless of their sexual orientation, gender identity or gender expression. David has seen firsthand the importance of non-discrimination protections, as a close friend of his was fired from his job because of his religious beliefs. Patty, whose best friend is gay and also has a coworker who is a lesbian agrees, saying it would be very unfair if her coworker was unfairly discriminated against for reasons unrelated to her job performance, simply because of her sexual orientation. “I think people have a right to find employment where they live and feel safe in that employment,” says David. But because Wyoming does not protect LGBT workers, and there are currently no federal protections, many gay and transgender people have to live in fear that they could be discriminated against, just because of who they are. The Turners originally shared their story with Protect Working Wyoming, a statewide, bipartisan effort to secure non-discrimination protections there.